While I benefit emotionally, mentally, and physically from my involvement in competitive cycling, it can be very expensive and time consuming to participate and maintain the level of fitness to be competitive. I love the training and competition that I do, but without my supporters, I would not be able to afford to keep going. While I am employed, my training and racing schedule is demanding enough to make many hours of employment impossible. Also, the less I have to work, the more time I can dedicate to my training. For years, I have worked and trained simultaneously, which presents the problem of how to take time off for training and travel for racing while being able to afford the costs. Your support helps me cover my expenses and focus on my training and racing, so I can be the best athlete possible. Encouragement and community also keep me going, so I need supporters who will share my story, spread the word to potential supporters, and come out to events. Please continue to cheer for me! I greatly appreciate all of the support that I have received over the years, especially when things were most difficult. The support has come in the form of friendship, kind words, mentorship, a place to sleep, a cheering section, donations in-kind, and monetary assistance. All support, big and small, has made it possible for me to continue racing, and I am very grateful. Family and friends, thank you for the love and support. Big thanks to Jennifer Brinkman of Brinkman Photography for awesome racing photos and years of friendship and race support! Pam & Marie, you two have done more for me than I ever could have asked for and continue to be two of my greatest supporters. Thank you! Thank you to the Feiss Family for your support! Your assistance and kind words have meant so much. Thank you Weldon Weaver for the awesome photos, you have an incredible ability to capture the intensity of this sport. Jennie Reed, you have molded me into the athlete I am today. Without your training methods and support, I could not have achieved my goals over the past couple of years. You have made me stronger both mentally and physically, and I am forever grateful. Your ability to pull from your own struggles and triumph to coach others to their own successes is incredibly inspiring and impressively badass! Many thanks to my corporate supporters, Pyatt/Broadmark, Aventón, and Jakroo. Special thanks to the people and businesses of Portland's cycling community. You will always be my hometown family. Also, special thanks to all of my supporters who wish to remain anonymous. If you would like to make a donation, awesome! No amount is too small. You may do so using PayPal! 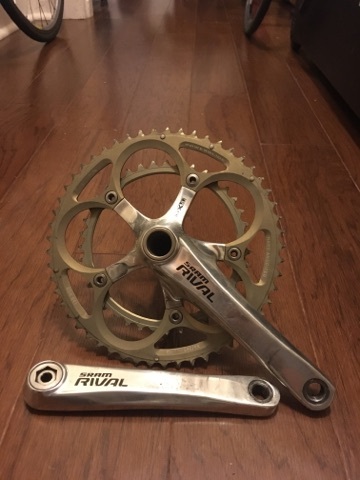 I am also selling various parts, accessories, and bicycles to help fund my journey through the professional track cycling world. You can see what I have to sell below and on my eBay page http://www.ebay.com/usr/6372.nissy. If you don't see anything you want or need, but you would still like to show support, please contact me to donate products of value you might have just sitting in your garage. I may be able to use them or sell them here. I also appreciate donations in-kind. Accessories: gloves, booties, training wear (e.g. compression clothing, rain/cold weather riding gear), etcetera. I am selling this gently used Timbuk2 Messenger bag. It is practically new! There are a couple of grease marks on the front flap in the yellow center, this bag is in otherwise "Like New" condition. Green, red, yellow, and black rasta coloring. Adjustable messenger style shoulder strap. Padded laptop sleeve fits large laptops. Zippered front pocket for an easy reach. More photos available upon request. 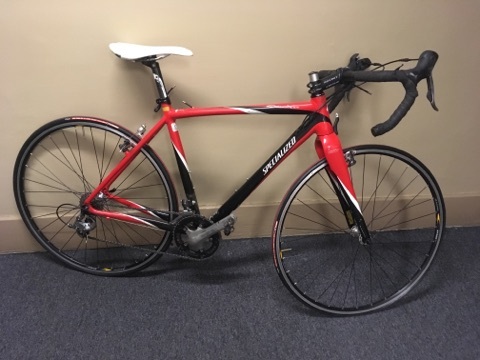 Needs new brake cables and housing. Currently has road cassette installed. The case has 7 internal pockets two of which are for your wheels. One of the wheel pockets has another pocket inside for your skewers. 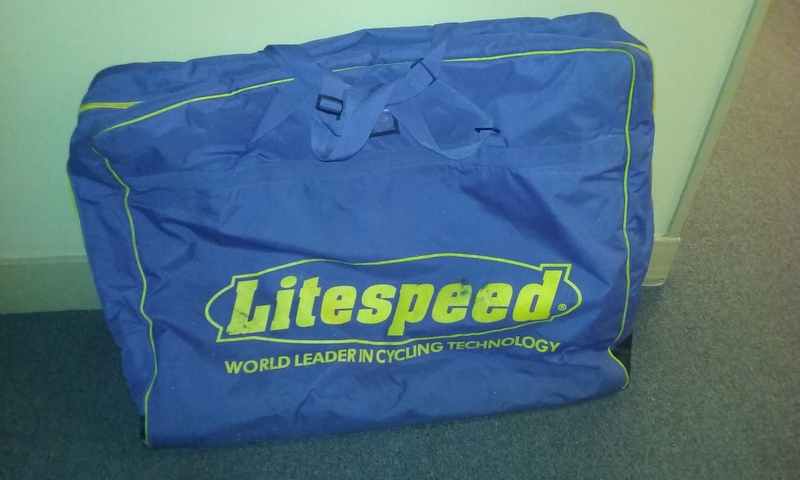 The case is well padded to keep your bike safe during shipping but it is recommended that you use frame pads on your bike. The case shows normal wear and tear. There is one noticeable tear on the bottom of the case but it doesn't go all the way through. Continental DoraSkin Tires still have plenty of life left in them. These wheels have been a great training tool for me but are not compatible with my 11spd bike so it's time to let them go. Top tube and down tube have chipped clear coat from TSA/traveling. The carbon itself is slightly cracked but it's rideable and structural integrity still intact. I have been sprinting on it without issue. I could fix it or you could have Ruckus or Predator fix it. The wheel set pictured is not included. 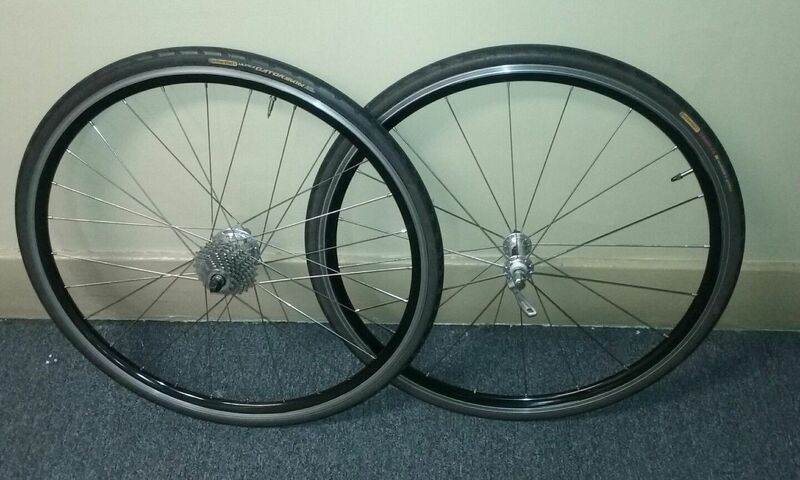 Bike comes with the stock Mavic Ksyrium Elite wheels. Brakes are full carbon molded TRP SL. 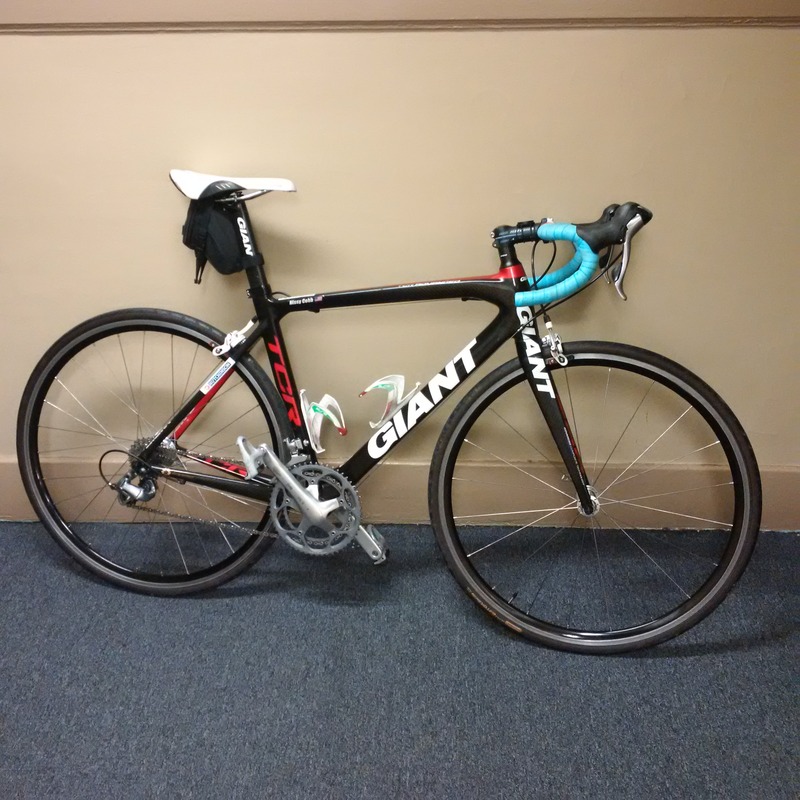 I'm the original owner, this bike has been great for me but it's time for an upgrade. Padding is lifting from the nose of the saddle. 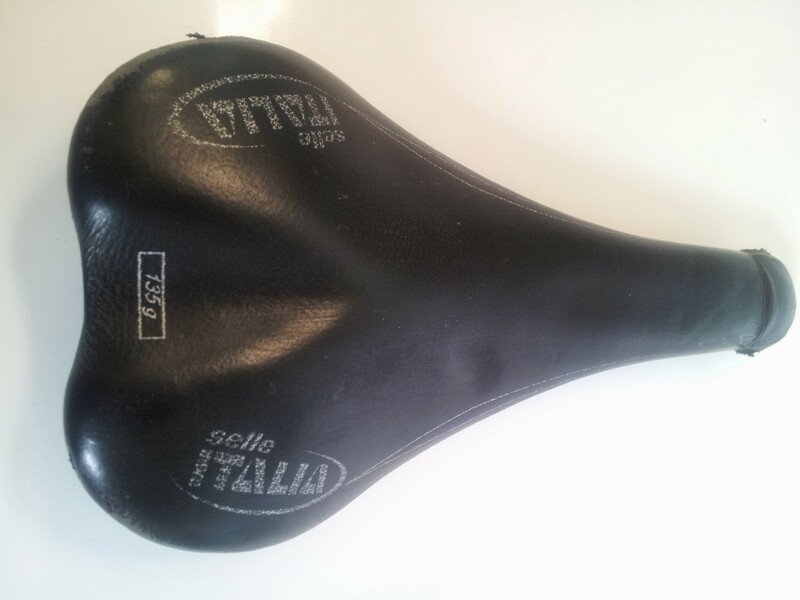 This saddle is in good condition other than that.